Today we’re talking about the incredible influence that we have to shape our brains, and even our genes! Did you know that the lifestyle choices that we make today can actually optimize how our genes and brains behave, allowing us to reach a state of health and fulfillment undreamed of even a decade ago! 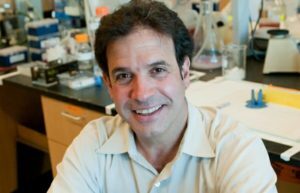 Dr. Tanzi is a professor of Neurology at Harvard and Director of the genetics and aging research unit at Mass General Hospital. He is one of the world’s foremost experts on Alzheimer’s and was named to TIME magazine’s 100 most influential people in the world. 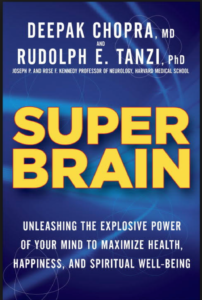 Dr. Tanzi collaborated with physician and mind-body expert Deepak Chopra and co-authored two books – Super Brain and Super Genes, both of which absolutely blew open my mind! 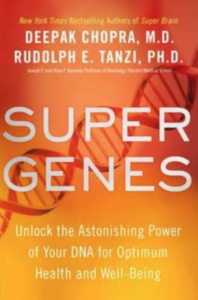 And then in their follow up Super Genes – they say that our experiences actually sculpt our genes! Crazy, right?! They say, you will always have the genes you were born with, but genes are dynamic, responding to everything we think, say, and do. So, we are the user and controller of our genes, the author of our biological story. And our everyday lifestyle and habits, whether good or bad, are changing our gene activity. If that’s not empowering I don’t know what is! What is the SUPER BRAIN? Soft inheritance: What does it mean? Exercise causes NEW nerve cells in the brain! What Rudy’s working on now?